I am Anne Moir, the author of NAVIGATOR. 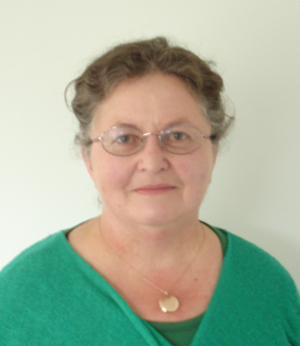 Anne Moir grew up in Southland and is now Dunedin-based. She has a background in nursing, mental health and psychotherapy, and her first novel, Navigator, draws on these areas of interest and expertise. Navigator’s seeds were sown in a University of Otago summer school creative writing class. Set alternately in Southland and war-time Europe, the novel tracks young Joe Hassen, who serves as a Bomber Command navigator in World War 2. Growing up down south, he is part of a lively and inclusive family, yet family relations are not quite as they seem. Ostensibly the younger son in a girl-dominated family, Joe’s “sister” Evie is actually his mother, and so his “mother” is his highly capable grandmother. While this arrangement is accepted, though not discussed, by the grandparents, Joe struggles with what this knowledge means for him, especially as his birth mother refuses to acknowledge him properly. Though her actions come out of shame and confusion at having an illegitimate child in 1920s New Zealand, Joe looks at the situation more superficially and feels personally rejected. When he marries and becomes a father to a little girl he is determined to seek some more clarity and definitiveness in his family history. Joe is brought up in the fictional area of Wesley Bush and mostly enjoys a peaceful, rural-based childhood, apart from his pervasive unease at schoolyard gossip about him. Life is hard, of a pattern, and not always rewarding, and, when the war begins, he, like the young men around him, naively signs up. This certainly takes him out of small-town life, and he finds himself flying on bombing raids over Germany. An agreeable character, he tries not to dwell on the actual mortality around him, or his culpability. However, his actions in Hamburg deeply affect him. Earlier generations of his family speak German, although they are Danish immigrants, and to bomb a city where he has personal history and living relatives feels too close to the bone by far. Joe, like the majority of war returnees, is traumatised and struggling with reconciling his peaceful life within a family to the action-packed violence immediately preceding. Like many, he buries his emotions under a capable front, and his post-war symptoms begin to manifest themselves in his slumbering moments and also cripple him sporadically during the day. In addition, he still desires finality in terms of his parentage, and he begins to go down these paths on his return. Moir’s debut novel reads convincingly and with care to detail and character motivation. The structure at times is confusing, as the individual segments are brief and leap between different decades and settings. Yet Moir is knowledgeable of these settings and of the background history. One comes away with a keen sense of the sadness that runs through families fractured both by international conflict and by much closer, internalised hostilities.